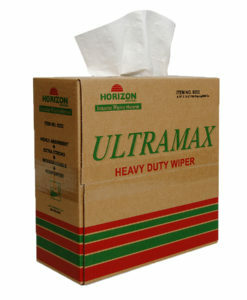 Horizon’s UltraMax heavy duty reinforced wipers are considered to be the ultimate rag replacing disposable wiper, made with a combination of soft DRC material and reinforced with rayon scrim for additional wet strength. 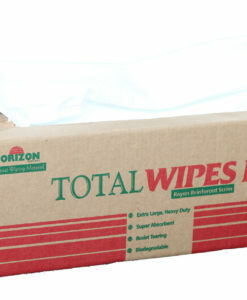 Use these rayon reinforced wipes for heavy spills and tough cleaning. 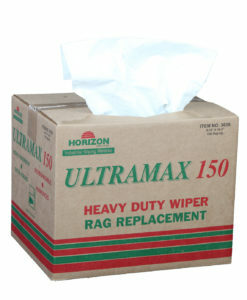 Count on the UltraMax Wipers to take on any cleaning task normally handled by rags.